ALLEN COUNTY— Three people died in an accident just after 5:30p.m. Sunday in Allen County. 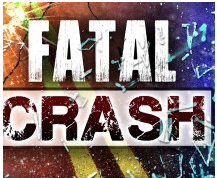 The Kansas Highway Patrol reported a 2006 Toyota Corolla driven by Ashley Nicole Walters, 20, Warrensburg, MO., was northbound on U.S. 169 four miles south of Iola. A deer came out of the east ditch, striking the Toyota. A southbound 2012 Dodge Grand Caravan driven by Sherry Laraine Bingham, 33, Chanute, then struck the deer and traveled into the southbound ditch. Vehicle one came to a stop on the northbound shoulder. Bingham and passengers Ciara Joan Edwards, 32, Chanute, and Samantha Rnee McMillan, 37, Walnut, were pronounced dead at the scene and transported to Frontier Forensics. Walters was not injured. All four were properly restrained at the time of the accident, according to the KHP.